The Honda Africa Twin Is Great For... Stunting? 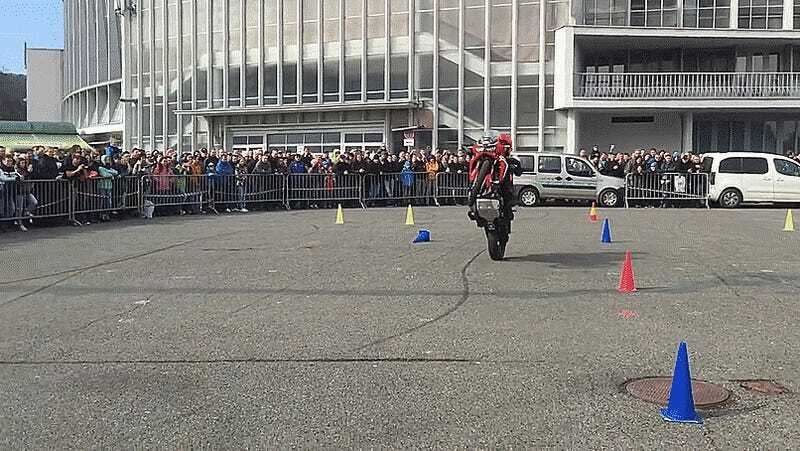 The new Honda Africa Twin is great at many things, but I never thought stunt riding would make the list. This just goes to show you that I don’t know EVERYTHING (okay, or many things, but whatever). Every time I see something on this bike, I like it more and more. Not that I’ll be able to hoon on it nearly as well as this guy, but it’s just such a fun machine. And that sound! Now, while this is pretty impressive, I’ll save my real awe for when he does it on the DCT model.